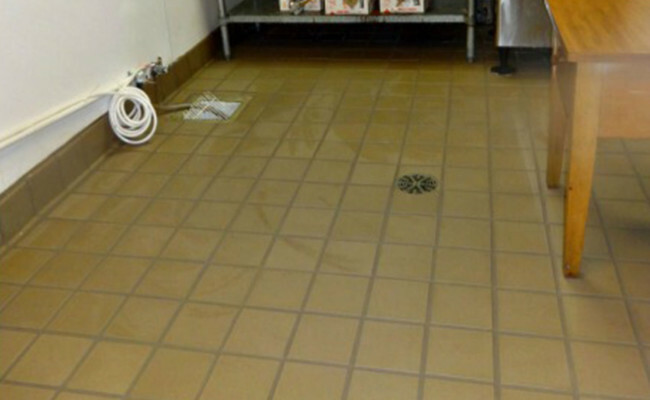 This kitchen tile and grout takes more abuse than other areas of this assisted living facility. Color sealing the grout in this kitchen was a smart management decision, because once the grout pores were sealed, spilled food and drinks could no longer become trapped deep within the pores. That makes regular janitorial cleaning much easier and more productive. In addition, color sealing prevents microscopic bacterial growth and is a constant-acting mildewcide, bactericide, and fungicide, making this kitchen more sanitary. 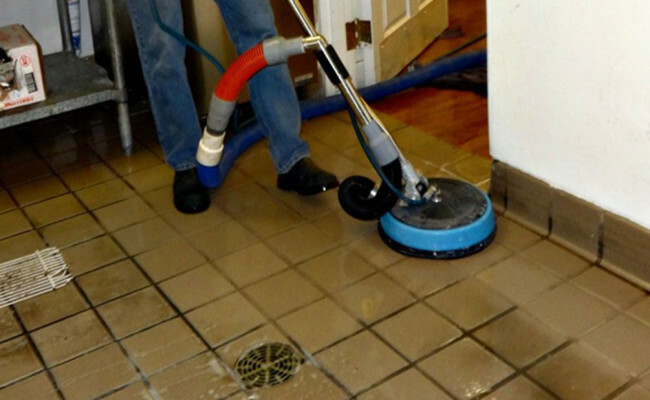 See how effective our cleaning solutions and equipment are at removing dirt and grime. The cleaned and color sealed floor. A close-up of the grout lines before they were cleaned. 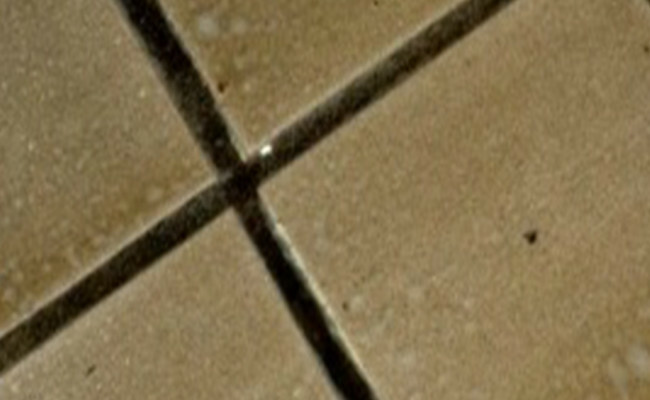 A close-up of the cleaned and sanitized grout lines. 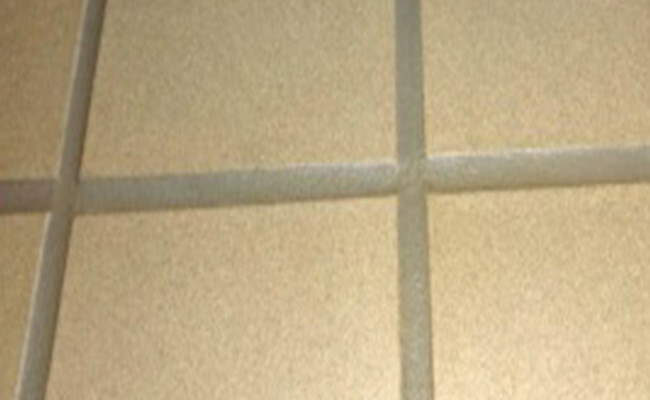 A close-up of the color sealed grout lines. See what the floor looked like before cleaning and color sealing. What an amazing difference! 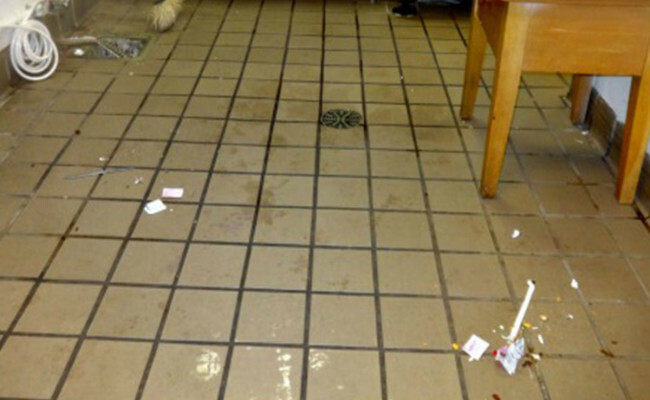 When the state inspectors visited this facility, they said this kitchen was not one of the cleanest floors, but the cleanest they had ever seen in an assisted living facility. 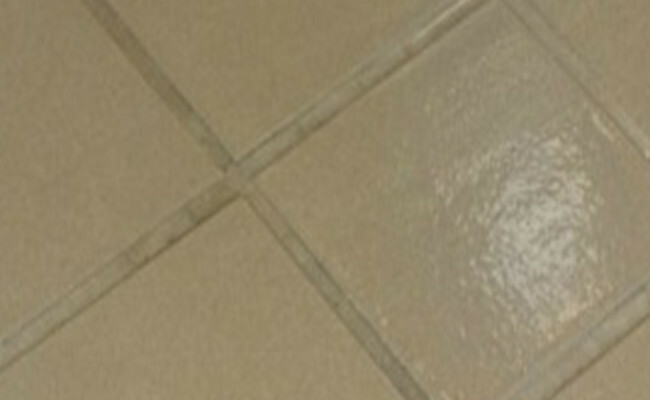 For a FREE estimate on tile and grout cleaning and color sealing services in the Orlando, Apopka, Maitland, Winter Garden, Ocoee, or Clermont area, contact us online or call (407) 947-1416 today.